Kushner is reportedly registered to vote as a woman. DONALD TRUMP’S SON-in-law and top aide, Jared Kushner, has been registered to vote as a woman for eight years, US media reported. Voter information records held by New York State Board show the presidential adviser – whose portfolio includes everything from seeking peace in the Middle East to reining in the opioid crisis in the United States – was registered as “female”. Kushner, who is married to Trump’s daughter Ivanka, also filled out paperwork for his White House security clearance wrongly and had to refile it repeatedly, CBS reported. Prior to 2009, Kushner’s New Jersey voter registration noted his gender as “unknown”, according to The Hill news site. Kushner, the scion of a wealthy property-owning family, is one of a number of Trump’s inner circle previously found to have been registered to vote in more than one state during last year’s election, the Washington Post has reported. 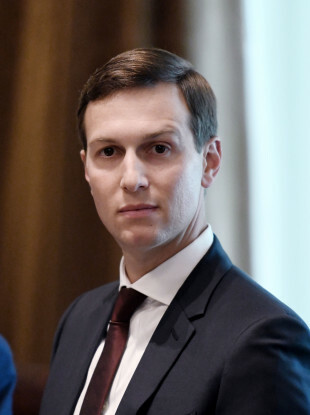 Kushner – a person of interest in the ongoing probe into Russian interference in the US election – has also recently been accused of using private email accounts to conduct government business. Trump’s insurgent presidential campaign was galvanised by supporters’ demands that Clinton be jailed for her use of private email servers while Secretary of State. Email “Trump's son-in-law has been registered as a female voter for 8 years - reports”. Feedback on “Trump's son-in-law has been registered as a female voter for 8 years - reports”.